Good eats in Encino, Redondo, and LBC. The LB Street Food Fest happens on Saturday, Oct. 9. It's always the slightest bit tempting, when there are three foodie festivals going down over the same day, to do the whole "breakfast, lunch, and dinner" route. Or an appetizer here, an entree there, and dessert at the final stop. But, really. You may already spend a lot of time in the car already during the week. Chances are, if your zip code starts with a "9," you do. So you'll need to pick one of the three foodie festivals going down, and stick with it, all appetizer-based ambitions aside. Taste of Encino is on Saturday, Oct. 9. There will be plenty of comestibles on the various grills, plus a Health & Wellness Pavilion, a Beer & Wine Pavilion. And a Moon Bounce. Yes! Adults are $5. 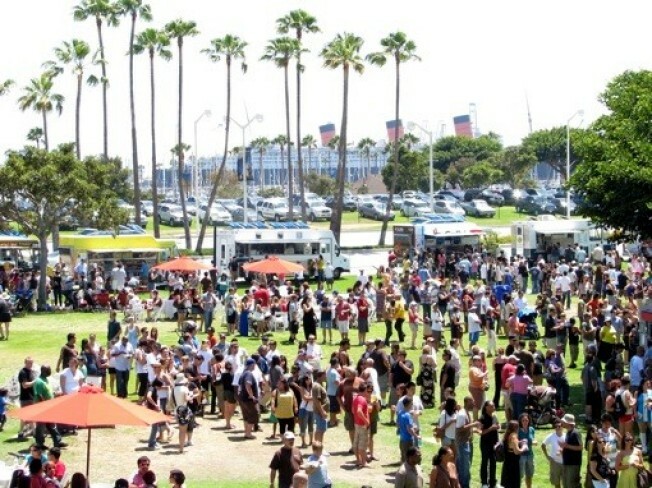 Taste of the Pier is Redondo Beach's bites-centered out. It's happening on Saturday, Oct. 9 and Sunday, Oct. 10. There will be tunes and tasting tickets. Handing over a tasting ticket with one hand while receiving a plate of nachos with the other, simultaneously, is one of life's little joys.